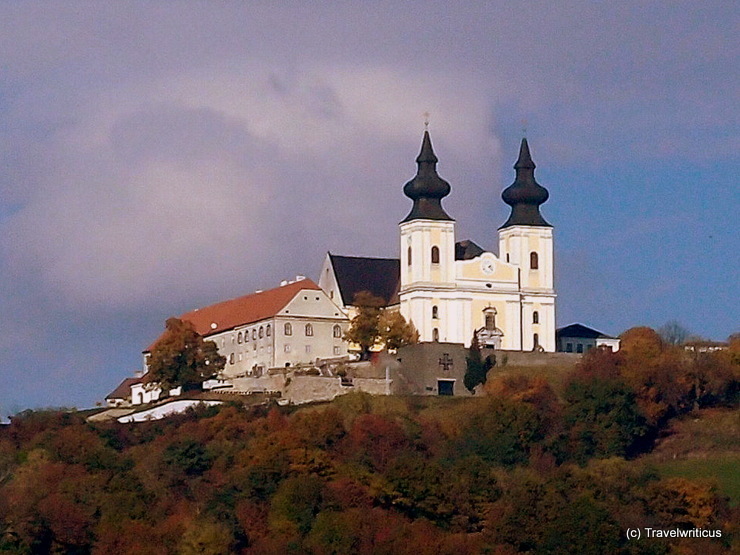 The construction of the Catholic Parish church in Gloggnitz started in 1933 but wasn’t finished before 1962. 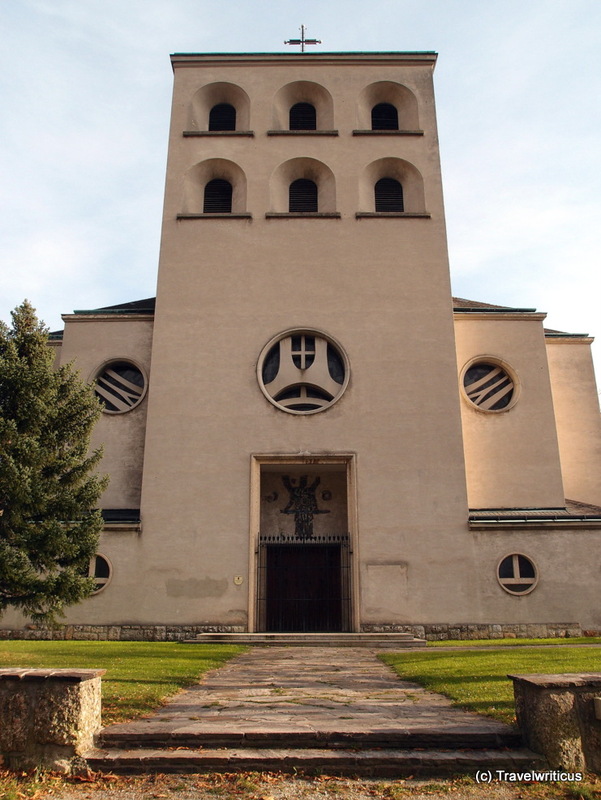 The church is dedicated to Christ the King, so it is generally known as Christkönigskirche. 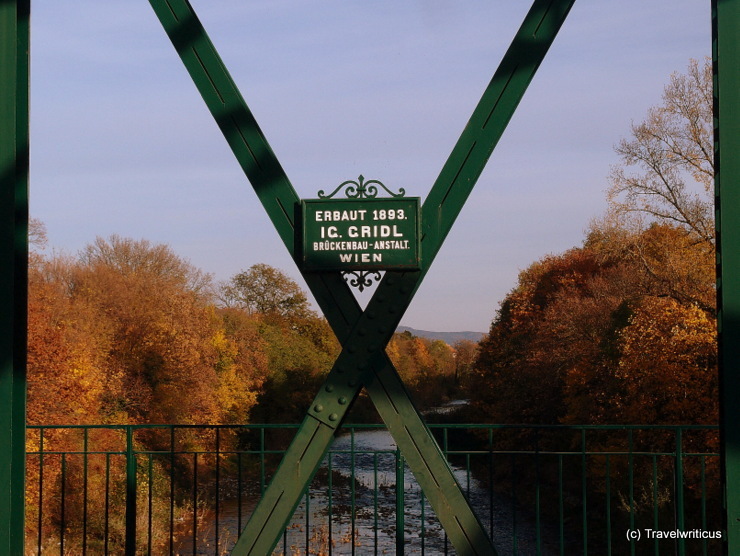 The Eiserne Brücke (Iron Bridge) in Neunkirchen was built by the Ignaz Gridl Brückenbau-Anstalt at the end of 19th century. Especially in autumn, one has a great view of the Schwarza river from the bridge. The coat of arms of Neunkirchen displays nine churches which refer to the meaning of the current city name (“Nine Churches”). 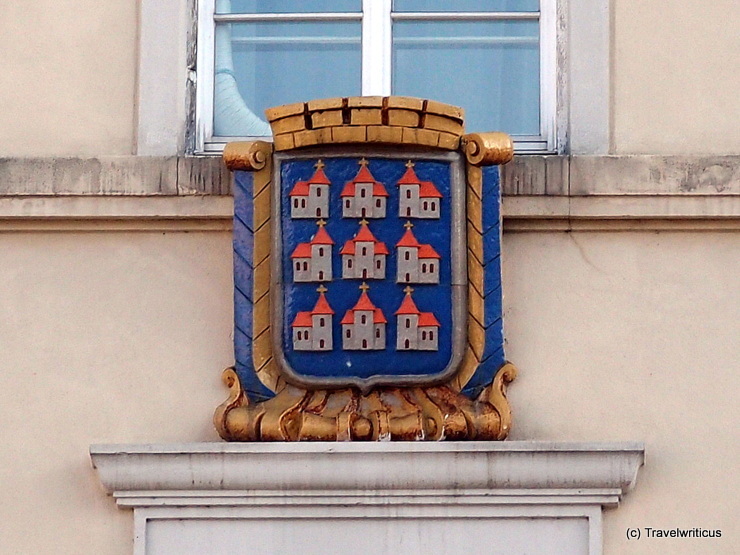 Even though these city arms are a great example for canting arms the place was never known for nine churches. 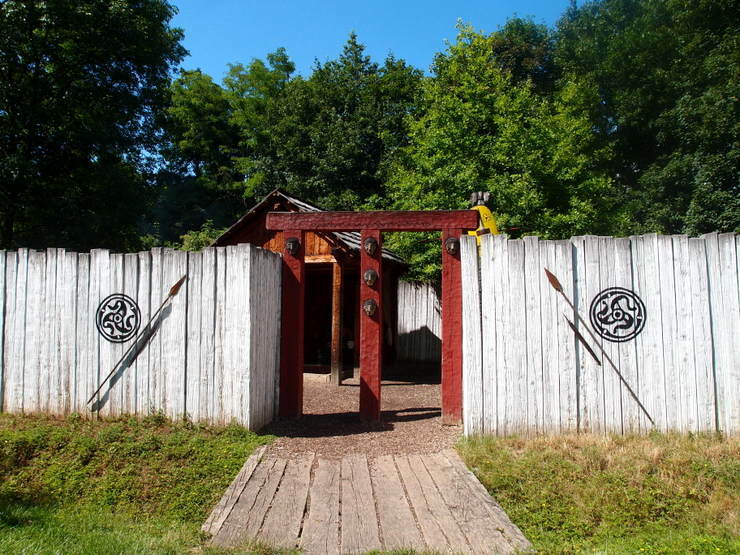 Actually the name origins from “new church”, a description which was used in the first mention of the place in 1094. 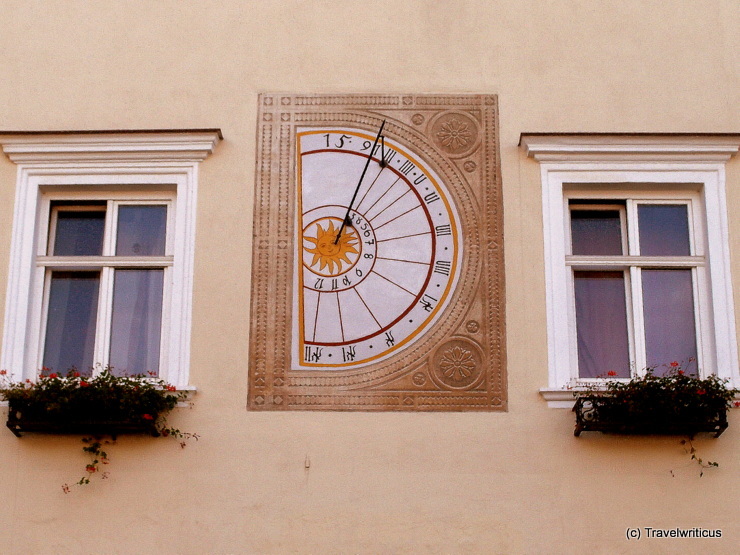 This sundial is placed on the facade of a 16th-century building located at the main square of Neunkirchen. 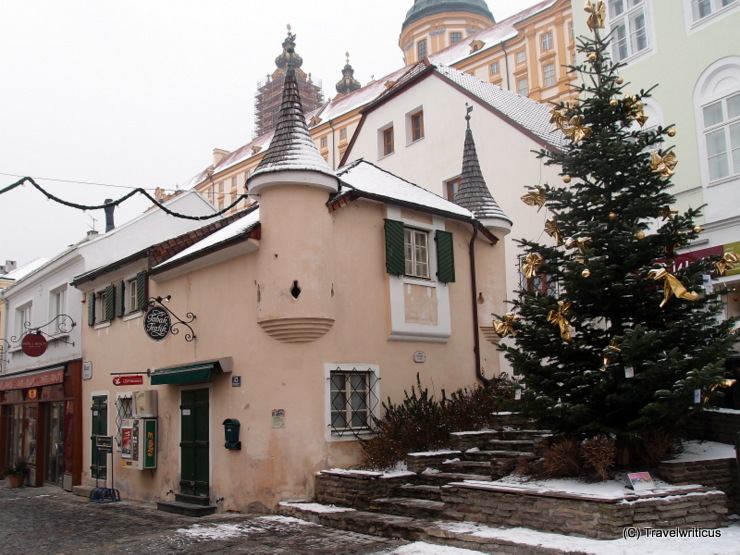 The city is the capital of the district of Neunkirchen in the Austrian state of Lower Austria. 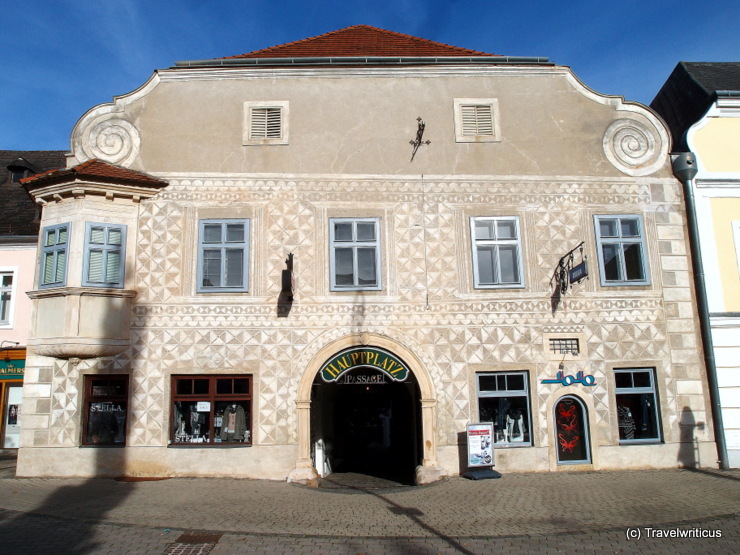 This 16th-century building located at the main square of Neunkirchen is generally known as Sgraffitohaus (Sgraffito House). An inscription at the portal dates back to 1591. The pilgrimage church of Maria Taferl (Wallfahrtsbasilika Maria Taferl) is after the pilgrimage church of Mariazell the second most import pilgrimage church of Austria. Since 1947 the church has been granted the title basilica minor. 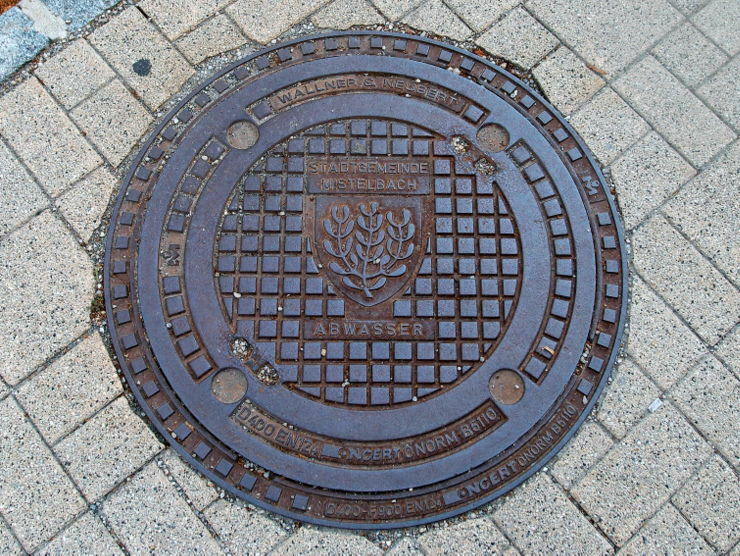 The manhole cover of Mistelbach shows a sprig of mistletoe, which is also depicted in the city arms. The term ‘Mistel‘ in the city name is actually the german term for a mistletoe. 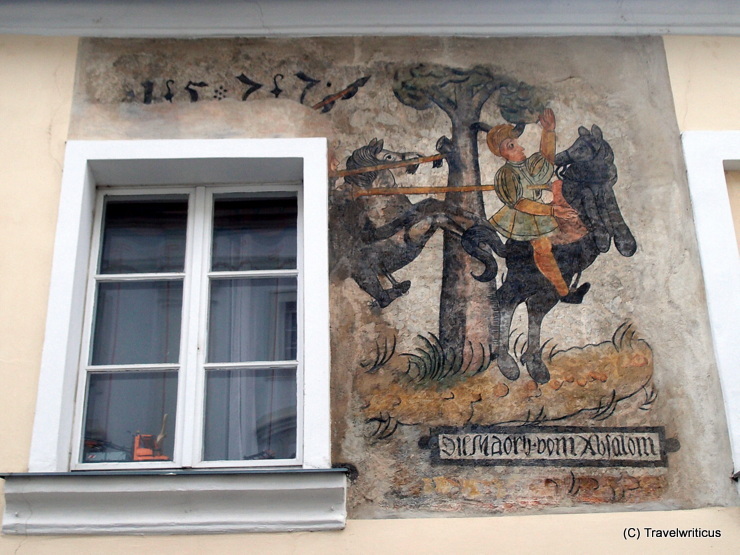 Renaissance fresco dated with 1577 seen at a building in the old part of Melk. In earlier times the building of late Gothic origin served as a salt magazine (Salzstadel). After beeing a bread store it houses a typical Austrian tobacconist (Trafik) now.